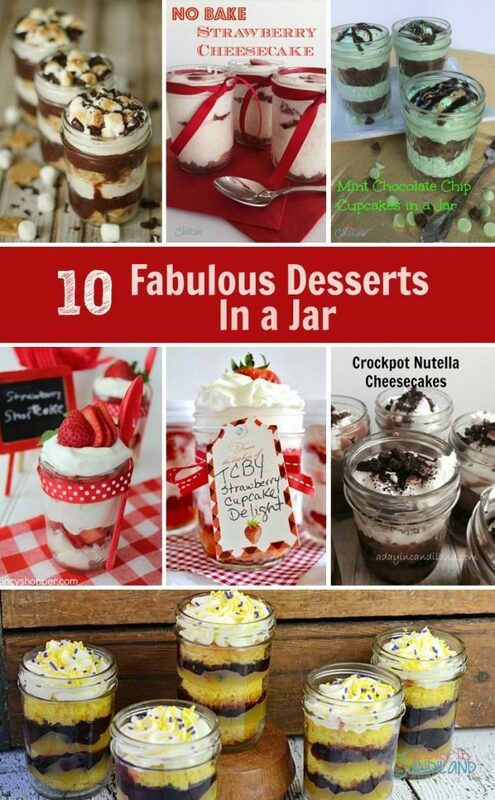 You just might drool over these 10 Fabulous Desserts in a Jar recipes. Dessert can be the highlight of the meal. Creating easy dessert recipes is what I enjoy doing most in my baking day. The best part of having these fabulous desserts in a jar is everyone can have their own. They are perfectly portioned out to get just what you need. You can eat it quickly or you can savor each moment. 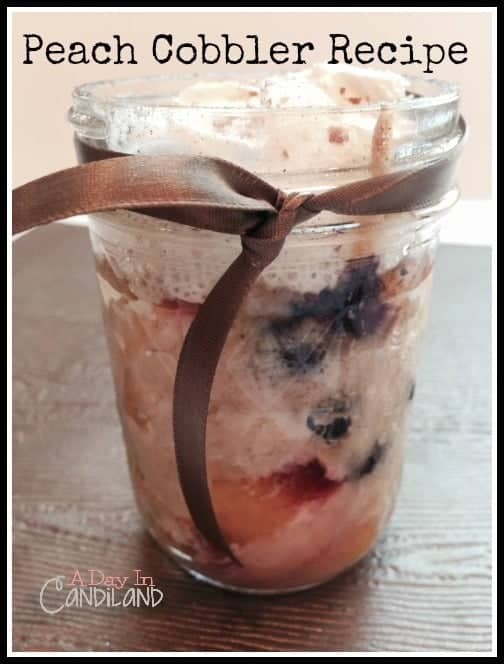 Visit these blogs to see some of their favorite desserts in a jar and try the recipes. Make sure you pin this so you have all the recipes in one place. These will be your go-to dessert to create a fabulous presentation and ones that your family will love. 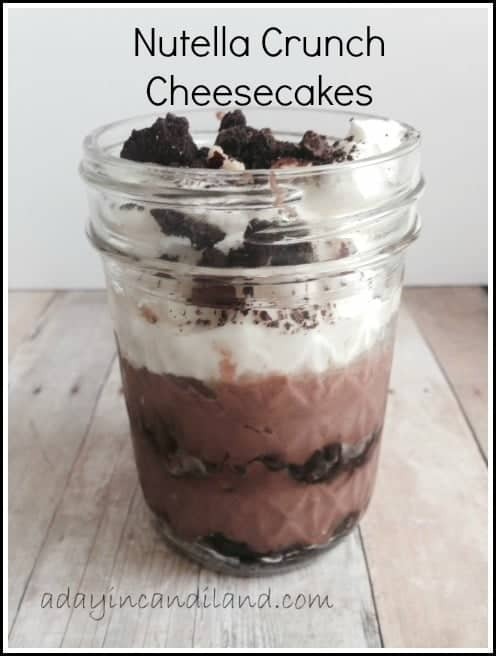 What is your favorite Dessert in a Jar? Make one today! These look so pretty and I bet they taste delicious! I love the strawberry ones because they have awesome color!! I am loving these! Desserts in jars are perfect for summer picnics. I would mind trying all of these. The No Bake Strawberry Cheesecake would probably be my fave! Oh my these look delicious. 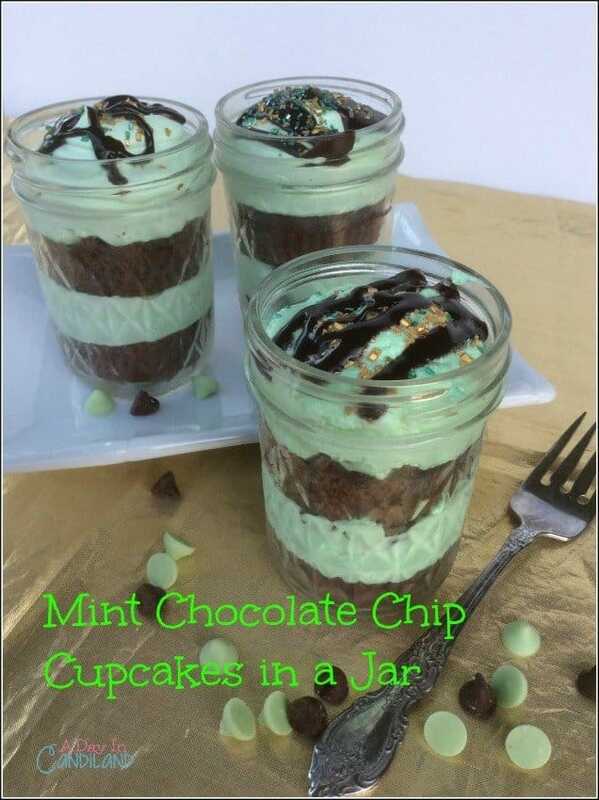 The mint and chocolate one is calling my name for sure. That peach cobbler looks really cool. I have done key lime pies in jars before and it was so much fun! I just started making these and I just love the idea! So perfect for summer picnics and everyone is so impressed. Thanks for all the great new recipes! These all look fantastic and wish I could try every one! Thanks for stopping by the Say G’day Party and sharing! Pinned and look forward to seeing you next Saturday!! Next time I’m at Michaels I am going to buy some mason jars just because of this post! The kids would love it…. plus the jars will double for our yogurt parfait trend. Hi love these. They look so good and a fun dessert. I featured you on my FB today. Have a good week. Thanks for including my Strawberry Cupcakes in a Jar recipe! This is such a cute idea. I will be trying the mint one. That is my favorite. I think that it is such a cute idea for a friend gift.